Recently there was an event called Festival of Hope held in Delhi, which was in aid of Breast Cancer.Many celebrities from all walks of life walked the ramp including Neena Gupta amongst others. We spotted the ever so hot and innovative Model/Vj/Actress Pooja Misrra showstopping for the same show. 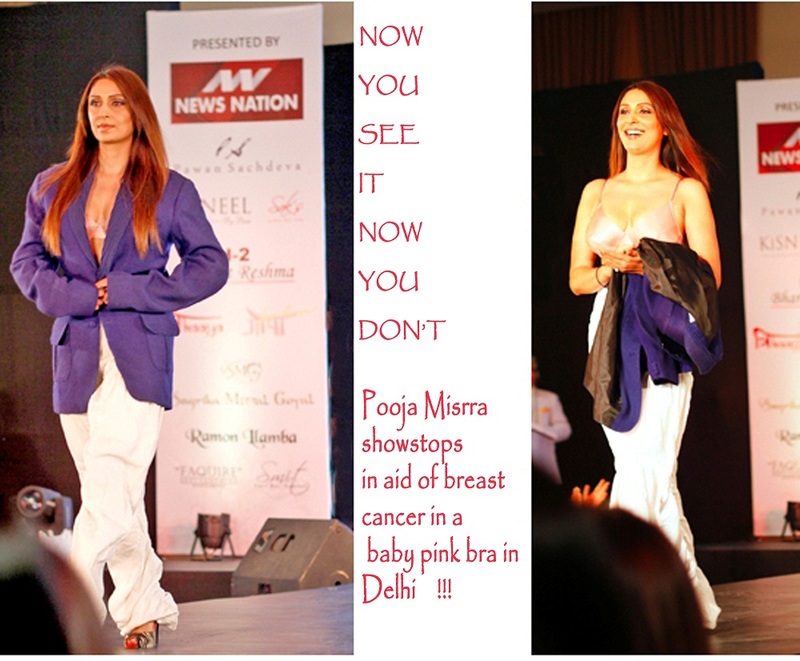 She took the stage in a blue jacket and as she reached the head ramp she removed the jacket to reveal a baby pink [the colour of breast cancer] bra which she was wearing inside.We were really glad to know that the otherwise shy and conservative Pooja did so for a good noble cause. Pooja bought back into focus the main reason behind having this show and that is breast cancer awareness.We are proud of you! Heidi Klum: Take The Money And Run!